When having the opportunity to visit Phu Quoc, it's a pity if you don't try kayaking on the Cua Can River. 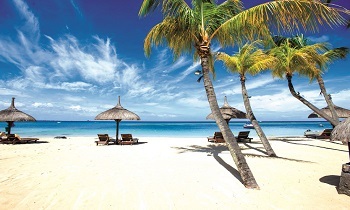 This will be an exciting activity for your trip. 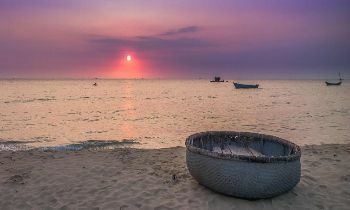 Cua Can River is the second largest river of Phu Quoc. 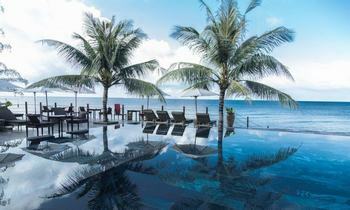 The river originates from a small mountain range near the middle of Phu Quoc island but due to many meanders, it becomes longer. 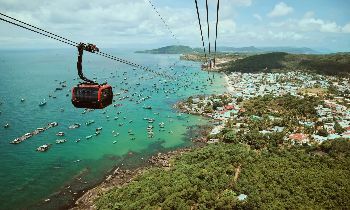 This is a common feature of rivers in Phu Quoc. Cua Can river mouth is close to a mountain called Mui Ong Quoi. Like its name, the river mouth is narrow and shallow, only small boats can access this river mouth safely. Perhaps with such difficult terrain, in the past, the national hero Nguyen Trung Truc chose this river as a way to transport weapons and food to the insurgents, building a base to counteract the French ships. In front of the river mouth, there is a sand dune about a half of kilometer. In the rainy season, the sand dunes are violently disturbed, so the river mouth is always changed in appearance and size. The area along the river mouth has a stone beach. Small stones due to continuous erosion and sharpening should be very special. The underwater reefs are violently eroded, so they have a characteristic shape. This is a shelter and feeding ground for many fish, some of which are very beautiful which can be ornamental fish. Cua Can River is a long and charming river running through Phu Quoc primeval forest. For nature lovers, this is a suitable destination to combine exploration between rivers and mountains. Cua Can River with very clear water is such a perfect place for kayaking when sailing, you can see fish swimming in the clear water. On the banks of the river, you can also see flocks of birds and storks chirping on the bushes. Cua Can river is not as wide as the Mekong River but it is not small, the distance is 20-25m in the widest place and the shape of the river is shaped like a dragon curving itself through the low hills and mountains. Anyone who has ever set foot in Phu Quoc probably remembers and have to recognize the excitement of kayaking on Cua Can river. If you never try kayaking before, you should consult the basic guidelines before starting kayaking. If you have time, you can consider joining the sailing classes organized by kayaking clubs. There are many types of the kayak which are made of composite plastic, molded rubber or inflatable boat with the paddle. 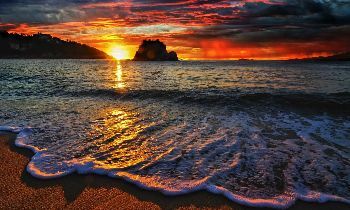 Under the specific guidance of the tour guide, you will find that kayaking is extremely simple. Each kayak has 2 rowers, initially, when you are not familiar with the kayak's movement, the kayak will not move in your way, but when you know how to control it, you will find it interesting. You have to know how to sail the kayak, how to stable yourself on the boat and the skills to save yourself in the emergency cases. Besides that, not only with kayaking, but with any outdoor activities, you also have to learn how to use emergency medical first aid kit, CPR, and treatment for hypothermia, etc. You go on a kayak and take a boat to go within 1 hour to view the poetic Cua Can river. 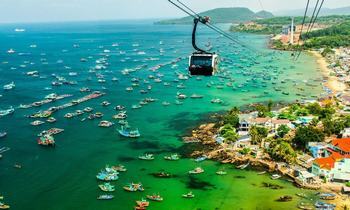 Going along the river, you will visit the famous Phu Quoc pepper garden and the Nguyen Trung Truc temple area. 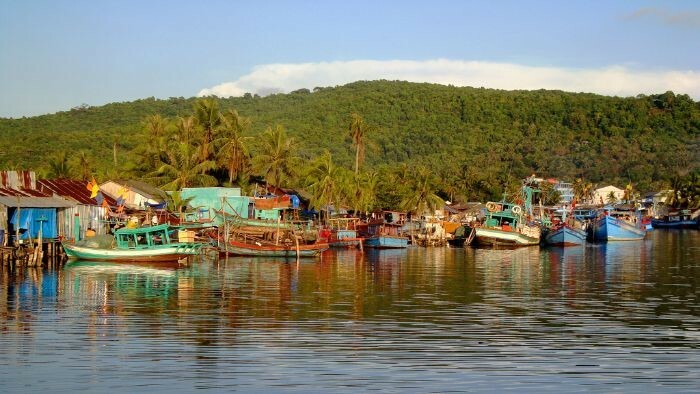 Boating on Cua Can river, you will have a chance to experience the pleasure of rowing and see the activities of fishermen as well as watch the other beautiful scenery of Phu Quoc island. Tourists continue to visit the primeval forest in Phu Quoc National Park to see the unique forest ecosystem on Phu Quoc island. 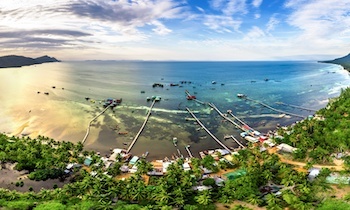 Visitors will sail to the northernmost point of Phu Quoc Island which is Ganh Dau to see out the Cambodian border in the far distance. 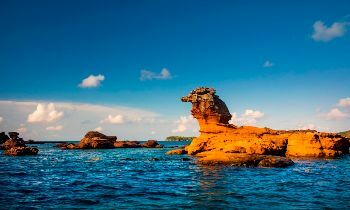 You can row the kayak to unnamed islands so that you can see the beauty of coral reefs at close range, the tiny little fishes that dance and swim, and countless strange beauty of Phu Quoc island. And after kayaking on Cua Can river, do not forget to enjoy the fresh seafood dishes typical in Phu Quoc on the restaurant along the Phuong Vi river and watch the poetic river view with the clear blue water. This will make your trip more complete. 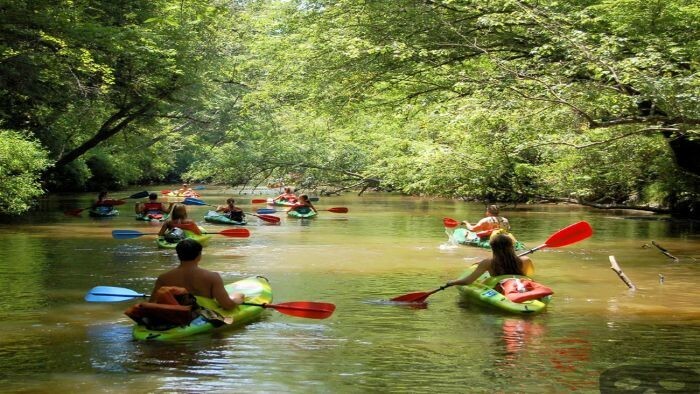 Things to keep in mind when you are participating in kayaking are to wear life-jackets to prevent the unfortunate cases, if you have a phobia of water, it is better to choose a motorboat for safety. 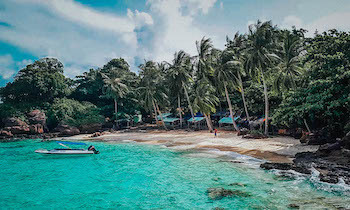 Please bring an extra swimsuit in the backpack because you may not be able to control it when you see the beautiful Cua Can beach and want to immerse yourself in the clear blue sea. Kayaking is an exciting activity that you should experience when traveling in Phu Quoc. With the useful information above, we hope that you will get enough knowledge and confidence to take a kayaking tour on this beautiful island. If you have any question about this post, contact us to be answered. Thank you!